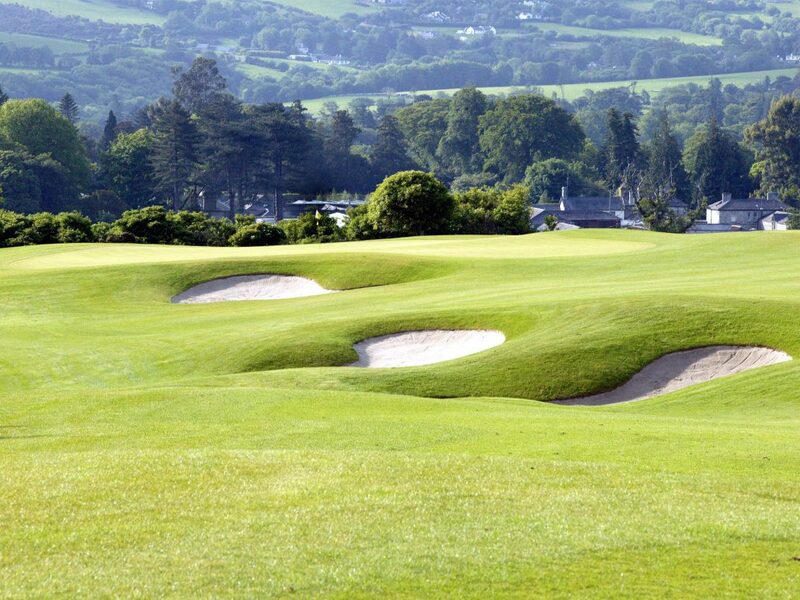 Powerscourt features views of both the Wicklow Mountains and the Irish Sea. 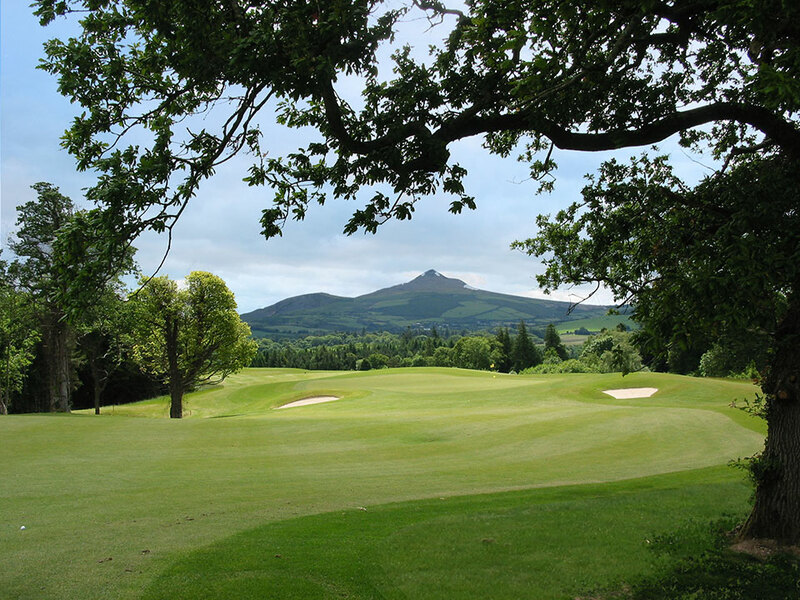 County Wicklow boasts some of the most breathtaking landscape vistas on the Emerald Isle, and we were proud to earn the commission from the Slazenger family to create a second golf course on the estate. 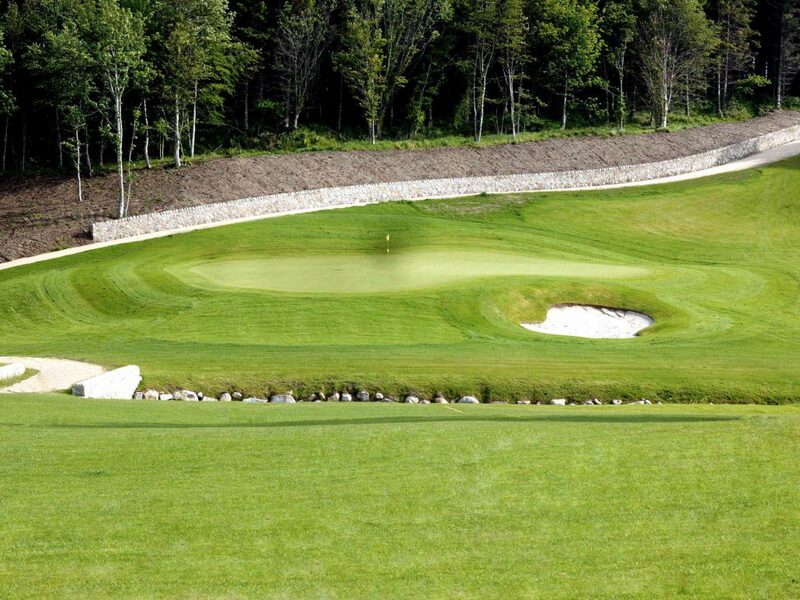 Presented with a rich landscape canvas, we wove the layout over and throughout the soft, rolling contours, streams and ponds, ravines, and stately trees, maximizing the course’s abundant natural assets. 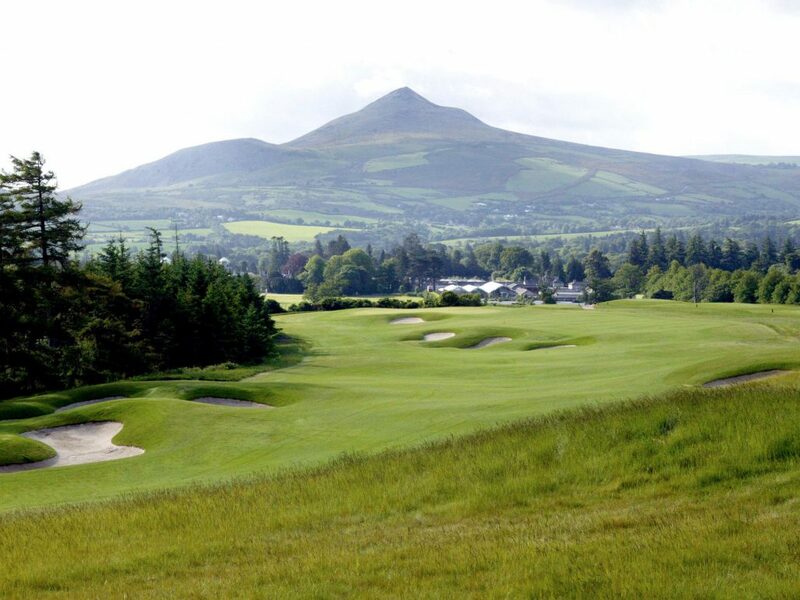 The Slazenger Family not only wanted a great course to compliment their existing 18, but they wanted it maintained within strict cost limits. Jimmy Kidd ensured this achievement with frequent visits and oversight of the construction and grow-in phases. 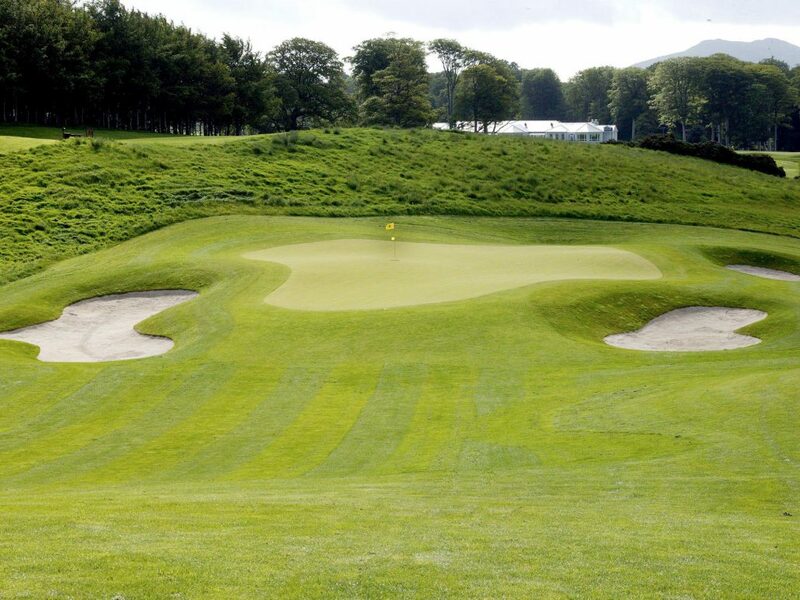 A grand-scale design routed on hillier ground with shallower bunkers and larger greens than the East. 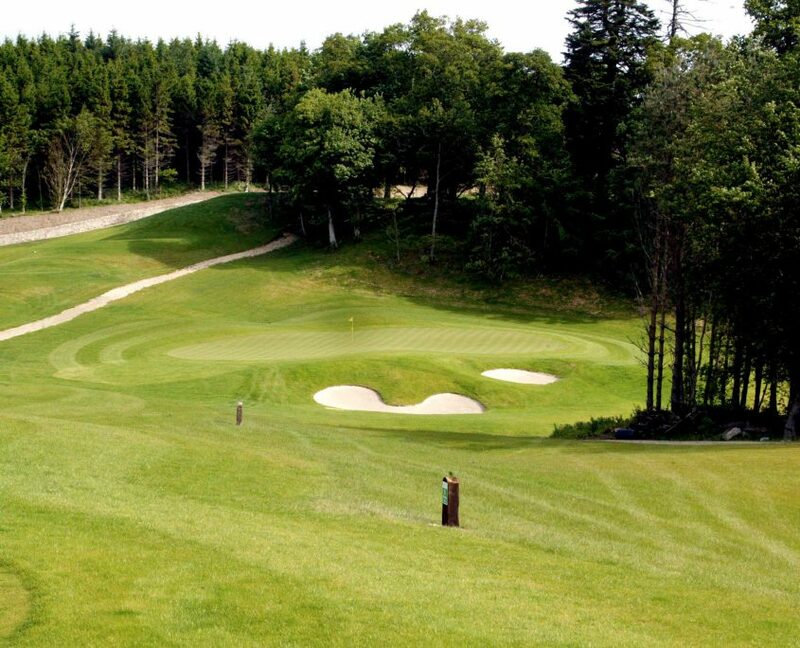 With its tall pines and 80-foot elevation change, the layout could pass for a rugged course in the Scottish Highlands. 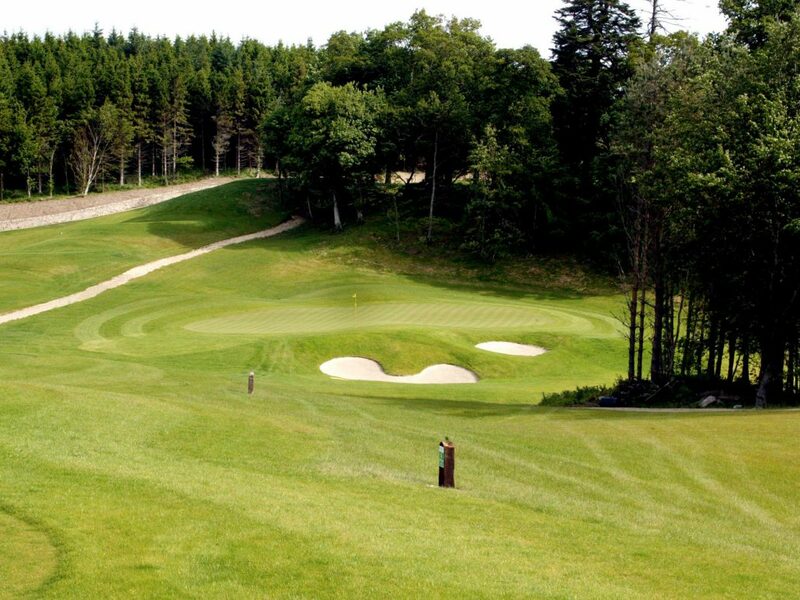 Kidd has intelligently played with the natural terrain, enhancing it rather than twisting it around. He has also avoided any undue stress with a layout that is neither too tight nor over cluttered with hazards all the way to the green.